W. B. Darlington, of Chester county, was appointed Adjutant. On the 18th of November the regiment received its colors from the hands of the Governor, and on the following day proceeded to Fortress Monroe. After a week's encampment near the Fortress, it set sail for Hilton Head, South Carolina, arriving on the evening of the 8th of December. The regiment was here armed and equipped, and its drill and discipline commenced. It was assigned to the brigade of General Wright, and was engaged in building fortifications, and in police duty until April, 1862. On the 8th the regiment was ordered to Tybee Island, at the mouth of the Savannah River, to assist in the reduction of Fort Pulaski, companies A and F remaining at Hilton Head. On the morning of the 10th, when everything was in readiness to assault, General Gilmore demanded the unconditional surrender of the fort. Colonel Olmstead, of the First Georgia, in command, declined, when the batteries were unmasked, and opened upon the fort with good effect. After the first day's bombardment, the fort having been breached, the Seventy-sixth and the Eighth Michigan were selected to take it by assault; but the appearance of a white flag, at three P. M. of the 11th, rendered the services of the regiment unnecessary. The fact of its having been selected for service requiring the best disciplined troops, was a deserved compliment. The fort fell into our hands with three hundred and eighty-five officers and men, and a large amount of provisions and munitions of war. It remained on Tybee Island until the 19th, when it returned to Hilton Head. With an occasional night march to Seabrook, for the purpose of repelling attacks, the regiment remained quietly at Hilton Head, doing guard and picket duty, until the 30th of May, when it was ordered to North Edisto Island. Upon its arrival it reported to General Wright. On the 1st of June it moved to St. John's Island, and from thence towards Charleston, arriving at Legareville on the 5th. It participated in the unfortunate attack on Charleston, on the 16th, which resulted disastrously. Nothing was accomplished, and our entire force fell back, leaving the dead and some of the wounded in the hands of the enemy. In August Colonel Power, and Lieutenant Colonel Wallace resigned, and Captain Strawbridge, of company B, and Captain Campbell, of company A, were promoted to be Colonel and Lieutenant Colonel, respectively. Upon the resignation of Major Irvine, in September, Captain Cyrus Diller, of company D, was promoted to Major. General Hunter was succeeded in command of the department by General 0. M. Mitchel. On the 22d of October an expedition was formed to sever the communication between Charleston and Savannah, by destroying the bridges across the Pocotaligo. In this the Seventy-sixth, under the command of Colonel Strawbridge, took a conspicuous part. The troops constituting the expedition ascended Broad River on transports, to Mackey's Point, where they debarked, and moved towards the trestle bridge across the Pocotaligo, a distance of five miles. The enemy was met in heavy force, and pushed back to his works, beyond the railroad, when being reinforced the battle was renewed, and lasted until dark. The troops were withdrawn, under cover of night, and returned to Hilton Head. Captains Henry Wayne, of company F, and Arthur Hamilton, of company I, were among the killed. The loss in the regiment was seventy-five officers and men killed and wounded. The regiment performed picket duty on Botany Bay, St. Helena, and Folly Islands, until July 6, 1863, when it moved, with Strong's Brigade,1 across Stono Inlet to Morris Island, preparatory to the attack on Fort Wagner. The main column embarked on Folly River, and passed, under cover of night, through shallow streams into Light-house Inlet. At daybreak of the 10th, the column halted, being screened by the tall marsh grass, and soon the batteries on the northern extremity of Folly Island, and the monitors opened a brisk cannonade. For two hours the firing continued. As it slackened the brigade moved across the inlet to the attack. The movement was planned and executed with great secrecy, and the enemy was taken completely by surprise. Without faltering the column moved forward, and the hostile batteries, south of the fort, were captured. On the morning of the 11th, at five o'clock, four companies of the Seventh Connecticut, and the Seventy-sixth charged Fort Wagner in gallant style, led by General Strong in person; but were compelled to retire before a most withering fire. The loss to the regiment was one hundred and eighty-seven killed and wounded, of whom fifty-three were killed. Lieutenants William Miller and Martin Stambaugh were among the killed, and Major John W. Hicks, Captains Littell, Knerr, and Sergeant Major Reinoehl among the wounded. Captain Hoagland and Lieutenant Bittinger were wounded and captured, and were retained twenty months in southern prisons. After this failure an attempt was made to reduce the fort by regular approaches, and on the 18th another desperate charge was made upon the works. Night was approaching when the dispositions for the assault were made. Just then a violent thunder storm burst over land and sea, the vivid flashes rendering the darkness, amid which the preparations were made, even more intense. In this fearful assault the Fifty-fourth Massachusetts-the first colored regiment raised in a Free State participated, and here, while cheering the men to deeds of heroism, fell General Strong, and Colonel Shaw. The loss of the Seventy-sixth was seventeen killed and wounded. Among the killed was Lieutenant Seth Thompson, of company'B. The regiment was now much reduced by battle and by sickness, occasioned by a life in the trenches. On the 1st of August Colonel Strawbridge was ordered to the command of the post at Hilton Head, and Lieutenant Colonel Campbell assumed command of the regiment. It remained here for six months repulsing numerous night attacks from the main land, and engaged in guard, picket, and scout duty. On the 20th of December Colonel Strawbridge resigned, and Lieutenant Colonel Campbell was promoted to Colonel, Major John W. Hicks to Lieutenant Colonel, and Captain William S. Diller, of company D, to Major. In May, 1864, the Tenth Corps was ordered to Virginia, and upon its arrival was attached to the Army of the James. The Seventy-sixth went into camp opposite Yorktown. On the 5th of May the brigade, now under command of Colonel Barton, embarked upon transports, and headed as if for an expedition to West Point and White House; but suddenly changing direction proceeded down the York, and up the James, landing at Bermuda Hundred. It moved towards the Petersburg and Weldon Railroad, destroying several miles of the track, under heavy fire. The rebels were forced back to Drury's Bluff, where they were reinforced, and the object of the reconnoissance being accomplished, the brigade was withdrawn. The Seventy-sixth lost sixty-five in killed, wounded and missing. 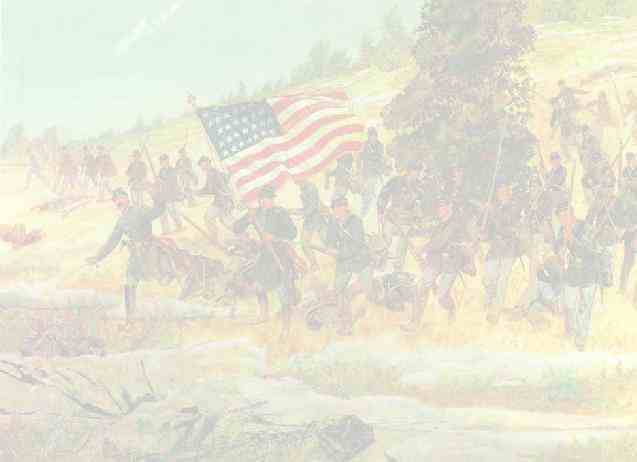 Before daylight on the 16th, a dense fog prevailing, the enemy attacked near Drury's Bluff. The fighting was determined. The assault in front was repulsed; but the effort to turn our right partially succeeded, and compelled the troops to retire. Captain Jacob J. Young, of company I, was killed. For the next four days there was fighting at intervals, but no decisive action. On the 27th the Eighteenth Corps, and the Second Division of the Tenth Corps, to which the Seventy-sixth was attached, were detached from the Army of the James, and moving, by transports, to White House, took position on the right of Grant's lines, at Cold Harbor. The division attacked at four P. M. of the 1st of June, and the battle raged furiously, at intervals, until the 3d, with varying success. Four companies of the Seventy-sixth, under Captain Littell, were ordered to the support of a battery which was posted in advance of the charging column. The loss in this three days' encounter was heavy. Captain Littell was wounded through both thighs. On the 14th the division re-joined the Army of the James, and on the 16th moved on a reconnoissance on the Richmond and Petersburg Railroad, destroying the road and the enemy's works. It proceeded on the 23d to Petersburg, performing picket duty on the front line of works. During the siege, casualties occurred almost daily. On the 26th of July Lieutenant William F. Bloss was wounded, from the effects of which he died. In the operations which followed the springing of the mine on the 30th, Corporal Rainey, of company B, was killed by the bursting of a shell, and Lieutenant Daniel M'Vay, of company A, a gallant young officer, received a wound in the thigh, of which he died on the 4th of September. At Deep Bottom, from the 14th to the 17th of August, it was engaged in numerous attacks upon the enemy's works, and on the 20th returned to Bermuda Hundred. The pickets were driven in on the morning of the 25th, when a detachment of the Seventy-sixth, under command of Lieutenant G. H. Gwinn, charged and re-took the line, capturing a number of prisoners. In an attack by the enemy the previous night, Lieutenant A. C. Mills, after a gallant fight, was taken prisoner. The regiment was now almost constantly skirmishing and fighting. Upon the resignation of Colonel Campbell, on the 16th of August, Lieutenant Colonel John S. Littell was promoted to Colonel, and subsequently Major Charles Knerr to Lieutenant Colonel, and Captain W. S. Morehead, of company K, to Major. On the 28th of September it moved, with the corps, to Deep Bottom, and participated in the sanguinary engagement at Chapin's Farm, resulting in the capture of Fort Harrison. The loss to the regiment in this attack was severe. Stimulated by this success, an assault was made on Fort Gilmer, but was repulsed. General Ord was wounded, and Brigadier General Burnham killed. A desperate fight occurred for the possession of Fort Harrison; but all attempts by the enemy to re-take it proved fruitless. On the 27th of October, while the Army of the James was making a demonstration in force, on the extreme right, a portion of the Army of the Potomac was suddenly thrown to the left against the enemy's works, covering Hatcher's Run. The Second Brigade of the Tenth Corps, to which the Seventy-sixth was now attached, provided with three days' rations, and sixty rounds of ammunition, made a reconnoissance towards the Darbytown Road. Upon arriving at the road the regiment was deployed as skirmishers, and advancing under a heavy fire, across an open field, drove the enemy from his position. A brisk fire was kept up until five P. M., when, with two companies of the Ninety-seventh, and the One Hundred and Fifteenth New York, it charged to within a short distance of his main line, where the enemy, opening a terrific fire of grape and canister, caused the column to waver, and finally to retire to the first line of captured works. The regiment was on the skirmish line, in a drenching rain, from early dawn until ten at night. The loss was one killed, and-twelve wounded, one mortally. Among the wounded was Adjutant Reincehl, who was struck with a ball from a shrapnell shell. The importance of closing the approaches to Wilmington, to prevent the introduction of supplies for the rebellion, by blockade running, had long been seriously considered by the War and Navy Departments. In December a naval expedition, under command of Admiral Porter, accompanied by a land force, commanded by Major General Butler, was fitted out for the capture of the enemy's works at Fort Fisher. It was intended that the attack should have been a surprise, and at a time when the garrison had been weakened; but unfortunately the purpose became known to the enemy. After encountering a rough sea the fleet arrived on the 23d, and at two o'clock A. M. of the following day, the powder boat, containing one hundred and fifty tons, was exploded, which was expected to paralyze the rebel garrison. A portion of Butler's troops was landed above Fort Fisher, and captured an out work, called Flag-pond Hill battery; but Generals Butler and Weitzel deeming it impolitic to assault the fort with so small a force as was at their command, the expedition returned to Fortress Monroe. The loss was about fifty killed and wounded. On the 6th of January, 1865, a new expedition, to accomplish the reduction of Fort Fisher, consisting chiefly of the troops of the former one, started from Fortress Monroe, under command of General Alfred H. Terry, and arrived at' Beaufort, North Carolina, on the 8th, where, by unfavorable weather, it was detained until the 12th. On the following day the troops debarked about five miles above Fort Fisher, and gradually approached the works. A strong defensive line was thrown across the peninsula on which the fort was located, to prevent any relief which might be sent from Wilmington. On the 15th the assault was made. The iron clads had kept up a continual bombardment, driving the enemy from his batteries into his bomb-proofs. They had largely engrossed the attention and efforts of the besieged; thus enabling Curtis' Brigade, leading Terry's column of assault, followed by Pennypacker's, (to which was attached the Seventy-sixth,) and then by Bell's having already gained, with moderate loss, partial shelter but four hundred and seventy-five yards from the fort-to spring forward, under a heavy enfilading fire, over marshy and difficult ground, to and through the palisades, and so to effect a lodgment on the parapet; when Pennypacker, advancing to Curtis' support, overlapped his right, drove the enemy from the heavy palisading that extended from the west end of the land-face to the river, taking some prisoners; and now the two brigades, uniting, drove the enemy, by desperate fighting, from about one-quarter of the land-face." The defence was obstinately maintained, and the assault as obstinately persisted in; but the rebel garrison having lost its leader-General Whiting-mortally wounded, and been driven from traverse to traverse, was finally compelled to surrender. The loss to the regiment was very severe. Captain Thomas L. M'Glathery, of company F, was killed, and Colonel Littell severely wounded. The flag, carried by Sergeant Albert Sanders, was twice shot from the staff, and completely riddled. At the close of the action it contained more than eighty rents, made by rifle balls and fragments of shell. Moving on Wilmington, which fell an easy conquest to the advancing forces, the army proceeded to Raleigh, where the regiment was detached for provost guard duty, and was stationed there until July 18th, when it was mustered out. On the passage homeward one of the transports was wrecked upon the North Carolina coast, and several of the men lost. It reached Harrisburg on the morning of the 23d, where it was paid and finally disbanded.